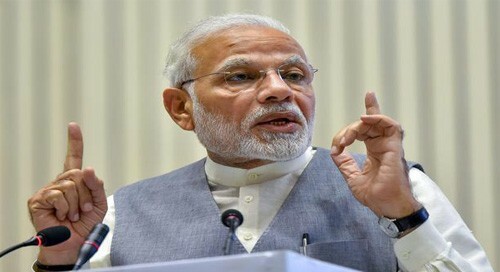 New Delhi, March 20 (IANS) The Modi government is bartering away "nothing less than the national sovereignty of the country" by bowing down to the US over oil imports from Iran and Venezuela, the CPI-M has said. "Becoming a strategic ally of the United States is coming with a heavy price," an editorial in the CPI-M journal "People's Democracy" said. "Now, the US is back to the business of coercing India to stop buying oil from Venezuela on whom it has imposed illegal sanctions. "The Modi government, after having bound itself into the strategic ties with the imperialist superpower, is unable to act in the national interests. It is proving itself to be incapable of safeguarding the energy security of the country," the editorial said. "When the US approached China to cut oil imports from Iran last year, it was firmly rebuffed. China is the biggest importer of Iranian oil and it continues to be so." "The US national security advisor, John Bolton, warned India and other countries last month against purchasing oil from Venezuela. "Subsequently, Bolton publicly stated that he had twice spoken to the Indian National Security Advisor, (Ajit) Doval, about Venezuelan oil. "That the Modi government is preparing to capitulate to the US demand is also indicated by the enigmatic response of Bolton who said that American concerns regarding India continuing to buy oil from Venezuela have been resolved."